One of the finest properties in Boston's Waterfront, Burroughs Wharf is a mid-rise two-building complex housing 69 residential condos. This full service building features professional concierge services, on-site management, elevator, secured entrance, and at least one underground deeded parking space for each unit. The beautiful condos vary from one to four bedrooms, and many units are duplexes or triplexes. All homes soar floor-to-ceiling windows, with gorgeous views of Boston Harbor, hardwood and carpeted floors throughout, modern kitchen with appliances, fireplaces, and in-unit laundry facility. Located on the Waterfront, Burroughs Wharf is close to the North End with great choice of Italian dining, Seaport District, Financial District, historic sites of Beacon Hill - just about everything Boston has to offer. 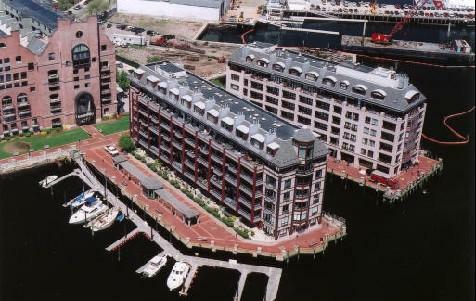 Contact us to learn more about these Burroughs Wharf condos in Boston Massachusetts. Floor through with renovated kitchen, bathroom, and recent hardwood floors. Central AC & Heat, which are rarely available at this price. Kitchen has granite counters, dishwasher / disposal, and stainless appliances. In a small, 3-unit building. 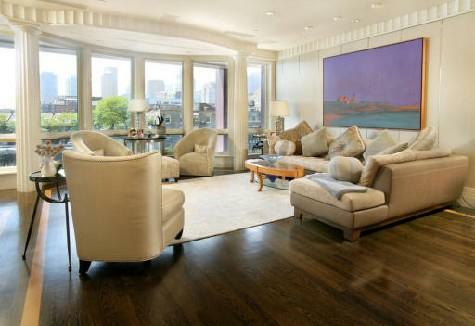 Situated on the edge of the Waterfront and the Financial District and steps from the North End and Quincy Market. Walk a few blocks to the Aquarium blue line T, the Haymarket orange line T, the Downtown Crossing red line T, and the Government Center green line T. This apartment will be freshly painted.